Save SAR 50 (20.08%) – Earn 19 Shukrans What is Shukran? Shukran is the Landmark Group’s award-winning loyalty programme in the Middle East, which allows you to earn Shukrans when you shop any of our brands. 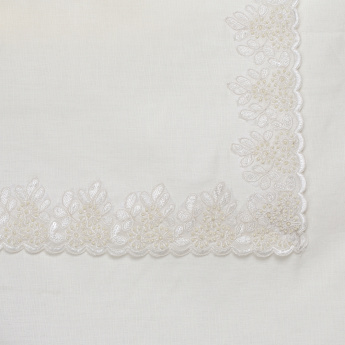 Lend your dining table a classic edge by covering it up with this embellished table cover. Sure to fetch you compliments, it is designed to last long and can be maintained with ease. 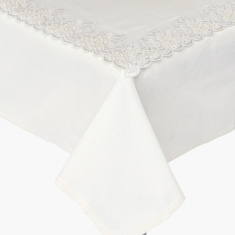 Its design in the edges adds elegance to your dining table.